Anders is a sheep and beef farmer out at the iconic 3,000 ha Castlepoint Station on the Wairarapa coast. He is the past vice president of Federated Farmers, a past director of regional economic development agency, Grow Wellington, and a past president of the NZ Grassland Association. 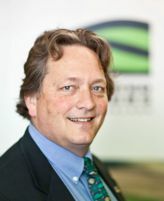 Anders has been Chairman of the FQC since 2013. He is the organisation’s main spokesperson. Based in Wellington, Ann is policy advisor for Federated Farmers. 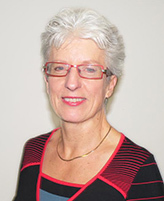 As the Executive Director of the FQC, Ann is tasked with the day-to-day running of the organisation including ensuring that the standards of the Fertmark and Spreadmark initiatives are maintained. Ann is the first point of contact for any query relating to the FQC, Fertmark and Spreadmark. Daniela is a highly experienced accountant. 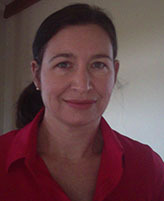 Based in Hamilton, she works for Federated Farmers, the New Zealand Groundspread Fertilisers’ Association (NZGFA) and the FQC. As an Executive member of the FQC, Daniela oversees all FQC invoices, accounts enquiries and financial reporting. Daniela is on hand to answer any FQC related accounting questions. 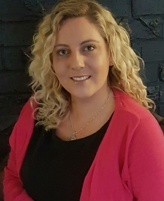 With 18 years of experience working within the communications industry – in New Zealand as well as overseas – Lisa works on a consultancy basis for the FQC. Her role as Communications Manager includes promotional activity, media relations and public relations advice. Contact Lisa for all promotional and media enquiries. The FQC is represented by over 30 executives from across the agricultural spectrum, including four farmer members to ensure strong farmer representation. The Council meets quarterly to review activity, approve budgets and expenditure and discuss pertinent topics affecting the fertiliser and fertiliser spreading industries – both aerial and ground. How the FQC works and who’s involved. If you would like to view a full list of all FQC representatives, please contact FQC Executive Director, Ann Thompson.